Some Canadian bus companies say they're willing and able to fill parts of the void left by Greyhound when the U.S. carrier announced this week that it would soon halt most of its operations in Western Canada. Maritime Bus, led by president Mike Cassidy, came into existence six years ago after the demise of Acadian Lines left many parts of Atlantic Canada without a regional bus service. At the time, Acadian said the economics had changed and it couldn't continue to offer unprofitable routes. Maritime stepped in and now covers more than three million kilometres between 40 locations in the region. Cassidy says he'd be interested in doing the same thing — on a limited basis — in Western Canada, now that Greyhound has announced it wants to halt service across the region. "I feel like stakeholders should come together over the next 60 days [and] come up with an operational plan where we have a transportation network," Cassidy said. "It would be a group of carriers and stakeholders … collaborating to put the proper business model in place to make sure we have a sustainable daily line run system across our country." There are numerous hurdles standing in the way, not the least of which would be securing the right licences to operate routes from various levels of government — likely either provincial or federal, depending on the route. Known as motor carrier rights, those are the permits that allow Greyhound to operate those routes at the moment, and governments would presumably be more than happy to offer them to anyone who can supply a safe, comparable service that doesn't require subsidies from the taxpayers. But Cassidy's experiences in 2012 could serve as an excellent framework for what could happen now — because, as he puts it: "Greyhound is right. Ridership is down." That was the case in Atlantic Canada six years ago, but Maritime Bus has made it work because it did things a little differently. For starters, the carrier is more diversified beyond being just a fixed-route passenger carrier, with some package delivery on the side. Maritime has its fingers in many other aspects of the bus industry, including chartering, tour groups, cruise ships, tours over multiple days, and municipal service routes and school buses — all on top of daily regional runs. "We operate in all divisions," Cassidy said. "Diversification leads to synergy, which I believe leads to a leaner and meaner type of organization [that reacts] to market conditions very quickly." He also says the operating licence it was granted is a little less onerous than the one his predecessor had, allowing for more flexibility to expand and contract. While the company is obligated to run at least one bus 364 days of the year (save Christmas day) they don't necessarily run more than once a day. He gives the example of the service his company offers to Antigonish, N.S., home of Saint Francis Xavier University. During the school year, there are run three or four routes a day to Antigonish, while students are there. But offseason, the service drops to just two. "You have to have the management flexibility when ridership is strong to put on more runs, but when ridership is slower based on seasonality, you have to have the right to drop." While he's careful to not promise the company would be able to take over Greyhound's entire western network, he's convinced something can be done, without needing government subsidies, even if the details can be worked out later. "There was nobody in 2012, but our company stepped up to the plate to say, 'This is wrong, the region needs busing passengers and [buses are] part of who we are.'" And he's not the only one with that sentiment. Kasper Wabinski is the founder of Kasper Transportation, a regional bus company that operates out of Thunder Bay. He's already added a new route to Winnipeg, and even more expansion is planned. "We're proposing that we're going to fill the void on the routes in Northern Ontario and Manitoba." Wabinski says the plan is to use smaller, more fuel efficient vehicles at first, and ramp up to larger buses and more routes as needed. 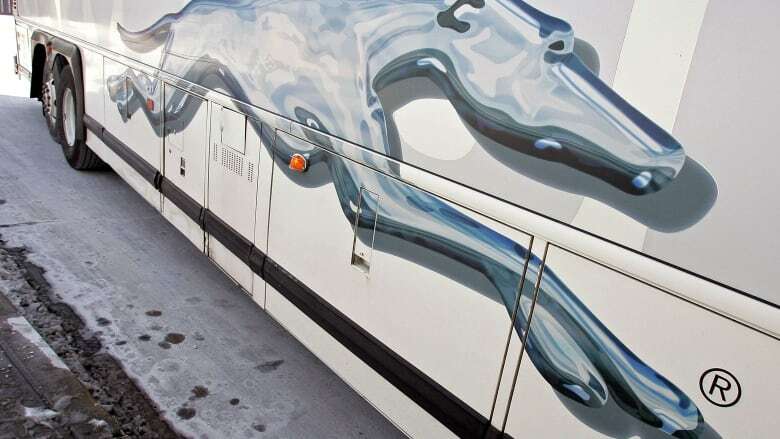 Unlike Greyhound's business model, "each route must be profitable on its own," he said. "You cannot have one route paying for another. That's a bad recipe for success." Wabinski says he is confident he can offer a similar service more efficiently by being more nimble. Barry Prentice at the University of Manitoba's Asper School of Business says that is the type of model that could work. "I think the future that we're going to see is small, custom services that are available," he said. "Because just replicating a trans national network is probably not there, or needed." Wabinski isn't planning on filling a full size bus several times a day, to multiple locations across the country. But he doesn't have to. "The numbers may be down significantly enough for them to not be able to sustain their cost structure," Wabinski said, "but if I could achieve a full bus one day to Thompson, I'd be a happy camper." "I'm happy sometimes to have four people going to Fort Frances," he quips. With small, sustainable expansions, Cassidy suspects it may be possible to bridge most of the current gap — and possibly even get Greyhound involved in the network again somewhere, at some point. "Let's sit, let's brainstorm," he said. "Let's look at a model that can work for 2018 — let's not try to work a model of 1970. Things have changed, we have to change also."